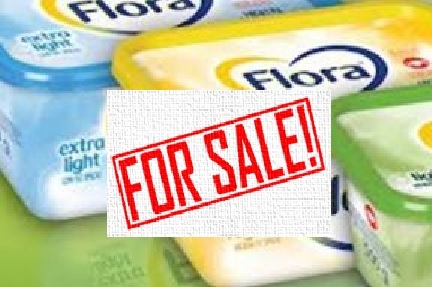 Spreads division for sale: what next for Unilever workers? Unilever has officially announced the results of its "comprehensive review of options available to accelerate delivery of value for the benefit of our shareholders" undertaken in the immediate aftermath of February's failed Kraft Heinz takeover bid. - Selling off the spreads division which was spun off as a stand-alone entity in December 2014. The spreads, essentially margarine, do not include (spreadable) Marmite or Hellmann's mayonnaise. The sale affects 7 factories in Europe, USA and Mexico. According to Chief Financial Officer Graeme Pitkethly, Unilever has received "lots and lots" of offers from private equity funds for the spreads business, valued at some 7 billion euros. 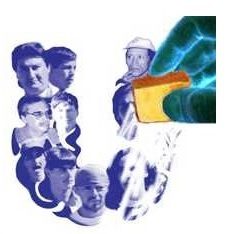 Bain Capital, CVC and Clayton Dubilier & Rice (all with a history of asset-stripping and an aggressive approach to unions) have been named in the financial press as among the private equity funds said to be preparing offers (along with…Kraft Heinz). In a private equity acquisition, large amounts of debt ("leverage") are used to fund the deal; the debt is then placed on the acquired company's books, forcing the acquired business (and its workers) to pay for its own takeover (see A Workers' Guide to Private Equity Buyouts). - Unilever has announced a €5 billion share buyback program for 2017. This will reduce the number of shares and boost earnings per share. - The shareholder dividend will be increased by 12 percent for 2017 beginning in the first fiscal quarter. - The 'foods' and 'refreshments' (essentially ice cream and beverages) divisions will be remerged into a single unit, to be based in the Netherlands. - While paying out more to shareholders, Unilever will target an increase in operating margins from 16 to 20 percent by 2020, an area where the company has been under pressure from financial analysts dazzled by Kraft Heinz's ability to wring increased margins out of declining sales. A measure of how much cash is available from sales revenue after deducting for variable costs of production etc., operating margins are a proxy for free cash flow, i.e. how much cash can be returned to investors (or used to fund acquisitions). They are not a guide to investment decisions. - The company has announced a planned €6 billion in cost savings as a result of various measures ("We will accelerate the margin improvement initiatives already underway in Connected 4 Growth"). - Unilever will be revising its capital structure to take on more debt: "We will maintain our targeted leverage level over time through periodic returns of capital through either share buy-backs or special dividends." Finally, Unilever will be reviewing the company's dual Anglo-Dutch business structure. The IUF has proposed to Unilever, and the company has agreed to, an emergency meeting with the international trade union team that normally meets with the company twice yearly. That meeting should take place no later than in May. Financial markets fixated on quarterly reports will not necessarily be appeased by the first results of the "comprehensive review", which, it can be safely predicted, will remain a work in progress. Unions should prepare for tough bargaining.